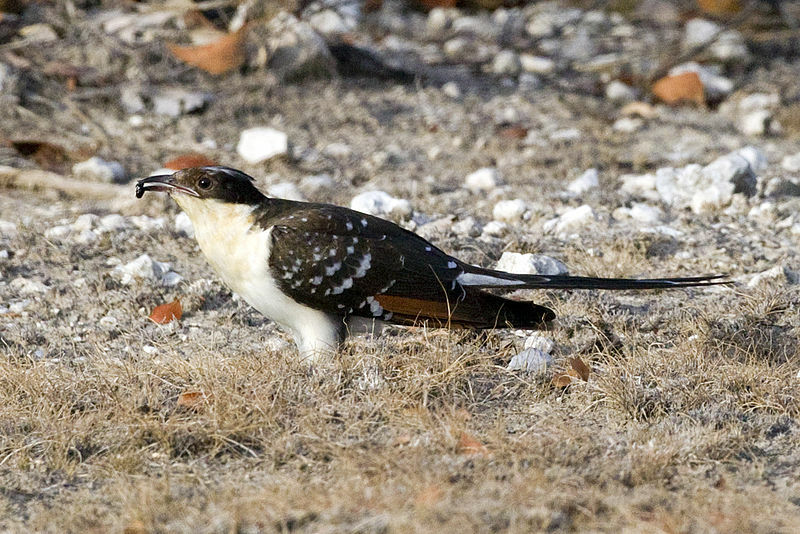 The great spotted cuckoo (Clamator glandarius) is a member of the cuckoo order of birds, the Cuculiformes, which also includes the roadrunners, the anis and the coucals. The genus name clamator is Latin for "shouter" from clamare, "to shout". The specific glandarius is derived from Latin glans, glandis, "acorn". It is a widespread summer migrant to southeast and southwest Europe and western Asia, and winters in Africa. It is a brood parasite that lays its eggs in the nests of corvids, in particular the Eurasian magpie.